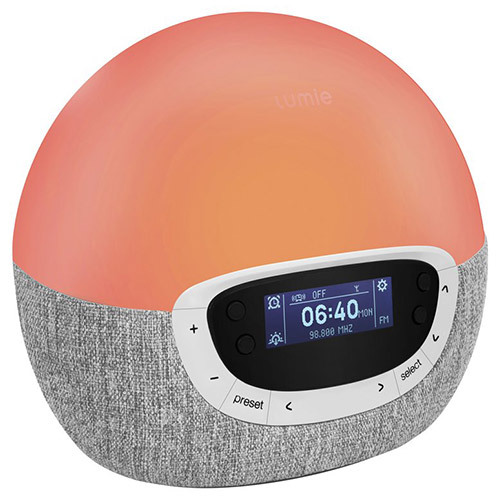 Lumie`s Bodyclock Shine 300 is an alarm clock that mimics the light and colour of a real sunrise so when you open your eyes you feel properly awake and refreshed. This stunning alarm clock uses improved LED technology to produce smooth changes of light and colour for a lovely, realistic sunrise and sunset. Waking up with light helps to regulate your sleep-wake cycle and has even been shown to boost mood, energy and productivity levels for the rest of the day. Extra customisation options allow you to choose the duration of the sunset and sunrise, light intensity of the sunrise alarm and add complementary sleep/wake sounds. The tap-control snooze is another nice touch for when you can afford some extra time in bed. 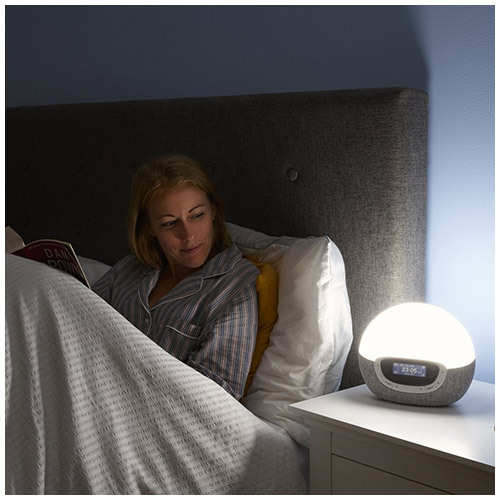 Bodyclock Shine 300 provides fully adjustable bedroom lighting, bright for reading or a relaxing soft glow. As your room gets dark, the light-sensitive display switches off to help you switch off. 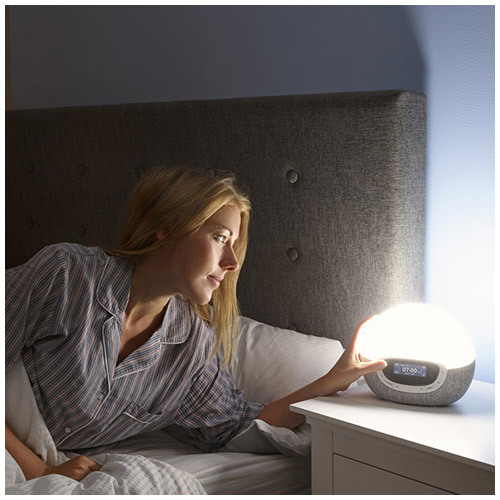 A sleep/wake light like Bodyclock Shine 300 is not just a nicer way to start the day. It can help beat the winter blues and is a useful complement to a lightbox in treating SAD (Seasonal Affective Disorder). 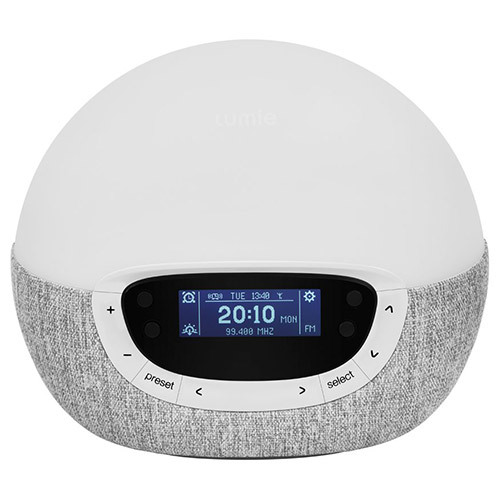 The British Swimming team use Lumie Bodyclock`s to get them up bright and early for training on dark, winter mornings. Below are reviews of Lumie Bodyclock Shine 300 - Sunrise Alarm Clock by bodykind customers. If you have tried this product we'd love to hear what you think so please leave a review. Bought this item for my granddaughter as a joint birthday/Christmas present (who would be born on Christmas eve!). She wanted this Bodyclock Shine 300 to help her get up in the morning - she's at university and struggles to get out of bed in the morning!! She was delighted that we bought it for her and first impressions are that she loves it but keeps waking up in the night to see what it's doing! She'll settle down I'm sure and has no problems with the settings - loves it! 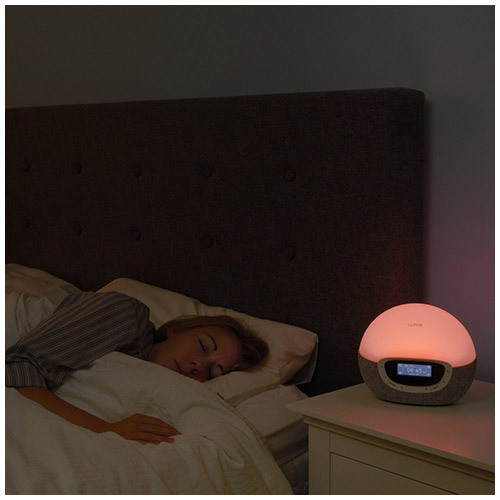 Bodyclock Shine 300 is an alarm clock that mimics the light and colour of a real sunrise so when you open your eyes you feel properly awake and refreshed. 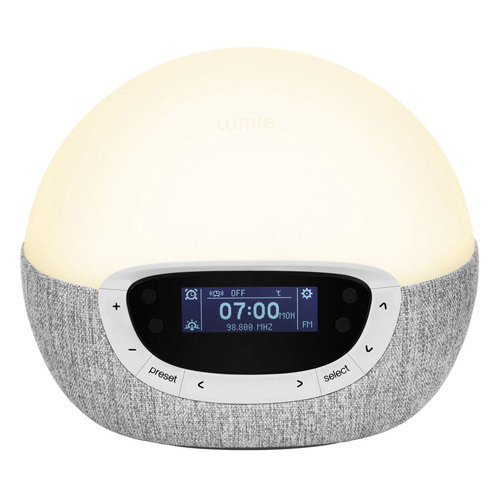 This stunning alarm clock uses improved LED technology to produce smooth changes of light and colour for a lovely, realistic sunrise and sunset.